Bollywood has given us a plethora of young talents, who have the capacity to give the legendary ones a run for their stardom. While it is true that old is gold and there is a certain amount of panache and the experience of age in the legendary actors of Bollywood, but the young budding actors are definitely no less. One such impeccable talent of Bollywood is Varun Dhawan. The son of the legendary comedy film maker, David Dhawan, the handsome and talented Varun initially worked as an assistant director in Karan Johar’s very famous movie, My Name is Khan in 2010. He got his big break from his debut movie The Student of the Year, which was released in 2012. Kalank is definitely going to turn out to be the most majestic movie of the year. Produced by Karan Johar, Hiroo Johar, Sajid Nadiadwala, and Apoorva Mehta, this is movie will also star multiple talents of Bollywood like Alia Bhatt, Varun Dhawan, Aditya Roy Kapoor, Sonakshi Sinha. Kalank to hit the big screen on 19th April, 2019. Besides being an amazing actor, our very own Varun Dhawan is also an impeccable dancer. This has been proved time and again in The Student of the Year and ABCD 2, where the audience was floored with Varun’s moves. So, he is all set to rock the screen with the third installment of ABCD in the movie named Street Dancer 3D. The movie will be directed by the legendary dancer Remo D’Souza himself and will release on 8th November, 2019. This movie will be produced by Karan Johar and directed by Shashank Khaitan. This action drama movie will bring the pair of Varun Dhawan and Sara Ali Khan together for the first time. 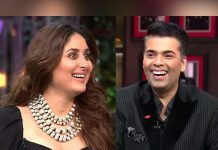 This is definitely going to be a larger than life movie as all Karan Johar’s movies are and we are too excited to catch a glimpse of Sara and Varun in the movie. Rumors have it that Shashank Khaitan has not yet zeroed in on Sara Ali Khan and that the leasing lady may be altered. Rannbhoomi will release during the Diwali of 2020. Other than these great movies in his kitty, Varun Dhawan will also be seen in the remake of the rib-tickling comedy movie, Coolie No. 1. The movie will be directed and produced by the actor’s father, David Dhawan, and we are sure that it is going to be as amazing as the original movie. The times ahead seems to be really eventful for Varun with so many diverse and interesting projects in his kitty. We hope each one of these is a success.